This left handed Bengali batsman's debut was marked by a magnificent test century versus England in early '96, and another one in the next match. He is very good off-side player, especially in driving the ball. He is one of the best timers of the ball in the current side. He has had a number of successes in One Day Internationals, especially vs Pakistan, in the Sahara Cup 1997, where apart from being the highest run scorer, he took the maximum wickets, proving his ability as a medium pace bowler. He had a 5 wicket haul in the series. In the same series, he holds the record for the maximum no. of "Man of the Match" awards in a row, and in that series he was quite obviously "Man of the Series". He was nominated as the"Man of the Series" for the India-SL test series as well. He was the best batsman in 1997...scoring the highest runs in ODIs and one of the highest in test matches. He has the highest One Day international and Test match Average in the current squad. His magnificent century against Pakistan at Dhaka, enabled India to chase the highest score ever chased in one-dayers, a superb 314! He holds the record for the highest one-day partnership with Tendulkar, a huge 252. He and Tendulkar are the 4th Best Opening pair in the History of One-day Cricket. He is undoubtedly the most consistent batsman in the current squad after Tendulkar. Role in Team Saurav Ganguly opens the batting in ODIs, and has been one of India's best and most consistent openers till date with a 40+ average. He is an indispensable player for ODIs. He also bowls a nippy medium pace, and has an uncanny knock for breaking partnerships. In tests, he comes in at No. 5 or 6, and has proved to be a very useful and consistent batsman. Profile: Javagal Srinath is the undoubtedly the only really Fast "Fast Bowler" in the Indian team who can bowl nearly as fast as his Windy or South African counterparts. 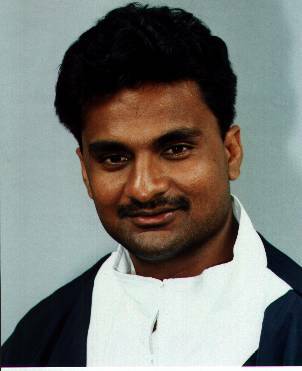 Srinath suffered a testing introduction to Test cricket when despite impressing Allan Border no end on his debut tour to Australia, and performing creditably on the ill-fated South African tour of 1992, he was unable to find a place in the Test side, especially at home. 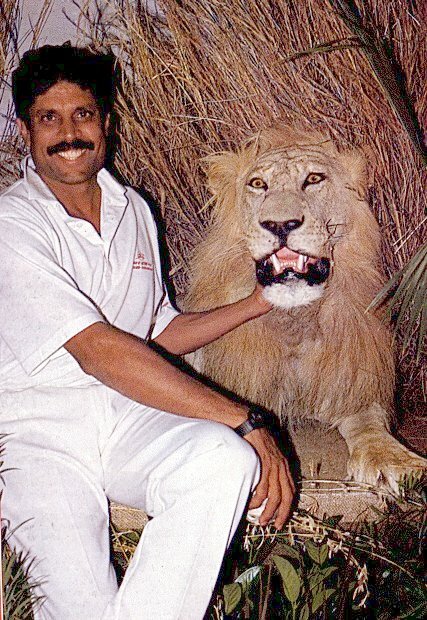 After Kapil Dev`s retirement, he finally found his much deserved place in the side. His test record is nothing extraordinary, but taking into consideration the conditions and the slow pitches of the subcontinent he has really done quite well. He was compared to Alan Donald for sheer pace during his stint with Gloucestershire in 1995. His shoulder injury, possibly due to being overbowled led to his being rested after the India's Tour of the West Indies in 1997. This gave a chance to other youngsters like Harvinder Singh, Doda Ganesh, Mohanty and Abey Kuruvilla, but they failed to impress. His return to the Indian team was much awaited, and Indian fans are glad to see that he is regaining form in 1999. His one-day bowling record is most impressive, and only Dennis Lillee and Waqar Younis have taken 100 wickets in fewer matches. He is also a good pinch-hitter, capable of hitting a few sixes in the slog overs. 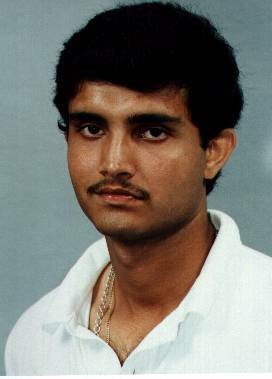 Role in Team: ODI: Javagal Srinath is an important member of the ODI side- he has the ability to take crucial wickets and also contain the batsman. Tests: Srinath has never been a great wicket-taker in tests, though he has taken several 5 wicket hauls in the last few years. Profile: This young right handed batsman has the most sound defence and technique in the Indian Side. He concentrates very hard in each innings, and is quite difficult to get out when he gets in on a good wicket. He tends to play shots on the rise. A very wristy player, he had an excellent debut in England in 1996, in which he scored 95. Even though he is cool headed and has a good cricketing mind, he often destroys his innings in the "nervous nineties" as he approaches his century, which he has already done 4 times in his short career, scoring only 4 centuries with a Highest score of 190 against New Zealand. He is also only the 3rd Indian batsman to score a century in both innings of the same test match. Because of his inability to force the pace in one dayers, Rahul Dravid has been left out of the ODI side.... a subject of great controversy considering he is one of the best test batsmen in the world today. However, after a superb tour of New Zealand (Dec. 1998-Jan 1999), he has once again regained his place in the ODI side, and has proved his worth by scoring 3 centuries. He is also an extremely popular player, especially among girls due to his handsome features. 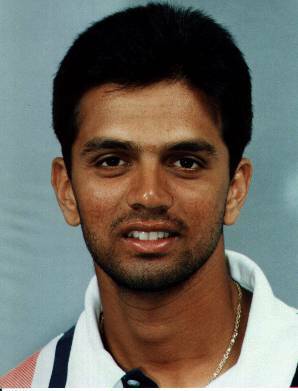 Tests: Dravid is rated by many as the top batsman in Test cricket in the World today. His immense concentration and hard work make him one of the Indian team's best assets. He bats at No. 3 or 4 in tests too. His only downfall is that he gets out in the 90s very often. Profile: Ajay Jadeja is an integral player of the Indian side and has hardly ever missed a one day match since the 1996 World Cup. He has played superbly in the beginning of 1998, scoring at a superb average and strike rate, including 2 centuries and more than 3 fifties. He was involved in the World record stand of 275* with Azhar against Zimbabwe. The amount of times he has got India out of pressure situations down the order are innumerable. In fact, he thrives under pressure. He is the fastest runner between wickets in the Indian team, and also the best fielder and therefore is a great boost to a team needing much encouragement. Jadeja has an uncanny knack of being able to hit boundaries at any stage of his innings. Indians remember him most for when he tore apart the Pakistani bowling attack in the quarter finals of the 1996 World Cup. At first he used to open the innings, but moved down to accomodate Prabhakar, and has hardly ever moved up since then. He is a great asset to the Indian side. However, he is not a permanent member of the test side, though he has opened the innings a few times, but quite unsuccessfuly. His bubbly personality helps to raise the spirit of the entire team. An unorthodox, right arm leg spin bowler, this tall, bespectacled (now contact lens-ed), captain of Karnataka, who started life as a medium-pacer, is India`s most effective strike bowler in both Tests and ODIs. He made his debut in England in 1990, alongside Narendra Hirwani, raising hopes of a resurgence in the art of leg-spin. But it was not until his recall against South Africa 16 months later that he proved his abilities on the International stage. Since then he went from strength to strength. It is his well concealed googly and flipper, along with his genuine medium-pace faster balls that are his strike weapons rather than the leg-break, which he turns little. He is unfailingly economical and in the 1995 English county season became the first bowler in 5 years to capture more than 100 wickets. A useful lower-order batsmen, with first-class centuries to his credit, Kumble has often done a sterling job holding up the sagging tail for India. Suffering from being over-bowled, Kumble recieved a well deserved rest from the national side in 1997, missing the tour of Sri Lanka and the Sahara Cup but was recalled to the national side to face Sri Lanka and Australia in 1998. He has bowled superbly in 1998 and 1999 so far, being India's highest wicket taker in tests as well as having the best strike rate and economy in one dayers. Role in Indian Team: Kumble has been for many years India's leading spinner. He has usually played the part of a first-change bowler, taking over after the fast bowlers initial spell. He is a true match-winner, a good fielder, and a dependable lower order bastman with a highest score of 88. Profile: Among the top batsmen and fielder's of the world today, the "winningest" Indian captain has been in unbelievable form after being removed from captaincy in September 1996 and has continued his good form after being reappointed captain. He now holds the Record for Most Runs in One Day Cricket, beating Desmond Haynes's record of 8648 runs and also holds the record of playing the most ODI matches (302+) with 55+ fifties. One of the most classy batsmen in the world, he has an array of wristy shots on both sides of the wicket, especially on the leg side. He is the most experienced member of the Indian side. He has 6000+ runs in test matches as well, at an avg. of approximately 45, with 20 centuries. He is also in the "Jonty" class of fielders, with over 120 catches in One Dayers and an almost equal number in tests. His consistency in both forms of the game is remarkable, considering his long career. Major Teams: India, Derbyshire, Hyderabad. Role in Team: ODI: Azhar plays at no. 3, 4 or 5 in ODIs. Tests: Azhar plays at no. 4 or 5 in Tests, and plays at a surprisingly fast run rate even in tests. Profile- In Prasad, the Indian team found a perfect partner for Srinath. He is not similar to Srinath at all- he is not fast like his counterpart, but he relies more on movement and his deceptive bowling is quite successful especially on seaming wickets, like those in England- he will be a great asset to the Indian team in the World Cup. He became a permanent member of the side after a superb display of bowling in the England tour in 1996. Despite being a tall man, he lacks real pace, but compensates for this deficiency with a superb slower-delivery and leg-cutter. With injuries to Srinath, Prasad had to bear the brunt of the bowling attack, finding very little support from Mohanty, Kuruvilla, etc. 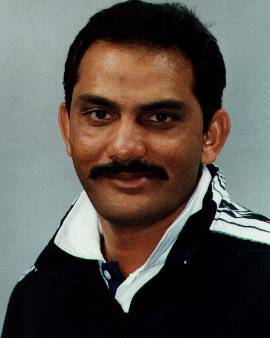 He was the leading wicket-taker in Tests and ODIs in 1996, and this achievement won him the CEAT International Cricketer of the Year. As a result of being over-bowled, he was clearly jaded in 1997. He was rested, apparently against his will, with an ill defined injury for the tour of Sri Lanka, and a couple of one day tournaments before finally returning to the team in late 1997. He is back in form in 1999 and is bowling with accuracy once again. 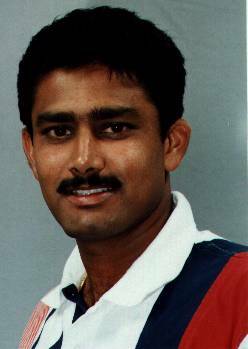 Role in Team: ODIs: Prasad opens the bowling with Srinath, and manages to pick up early wickets due to his well disguised slower-delivery and leg cutter especially on seaming wickets. He is also an effective slog over bowler, when in form. 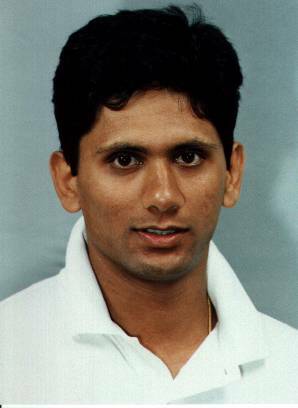 Tests: Prasad bowled superbly in Tests in 1996, taking several 5 wicket hauls and a 10 wicket haul (in a match).